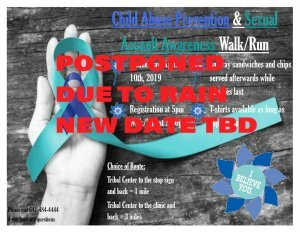 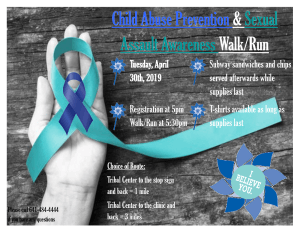 The previously scheduled Child Abuse Prevention & Sexual Assault Awareness Walk/Run has now been POSTPONED due to the expected rain for tomorrow, Wednesday, April 10th. 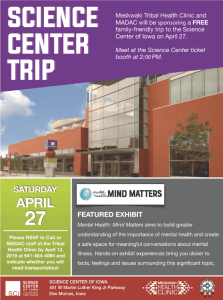 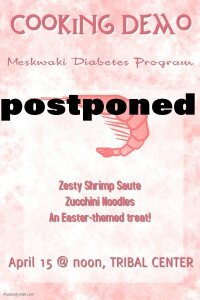 Rescheduled date to be announced at a later time. 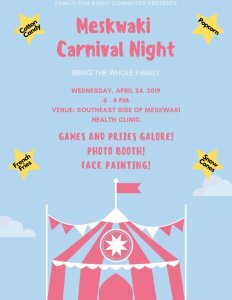 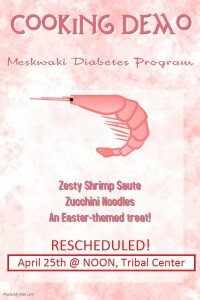 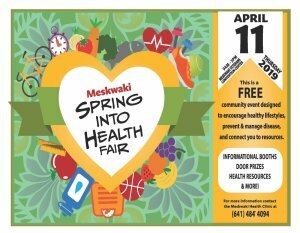 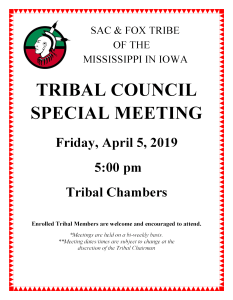 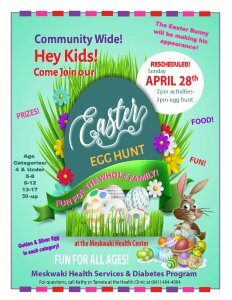 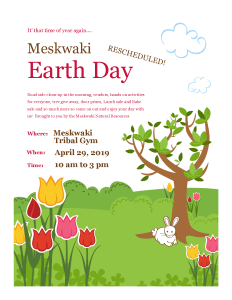 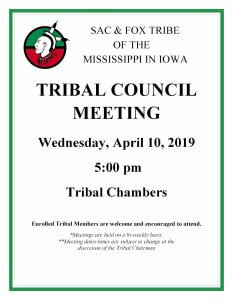 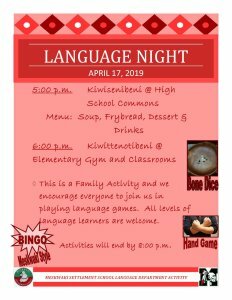 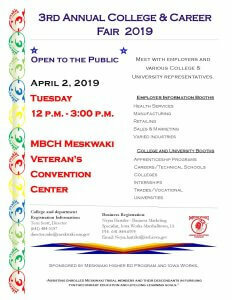 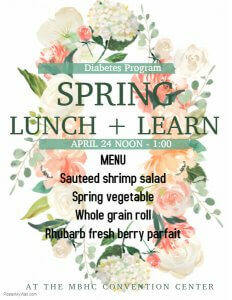 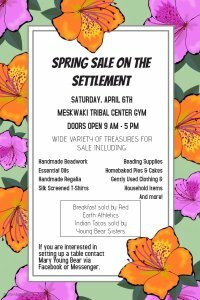 The previously scheduled Cooking Demo hosted by the Meskwaki Diabetes Program for today (04/15/19) has been postponed.